Master Ben and naomi are frequent presenters, having taught classes at MsC, SELF, SPLF, the M/s Gathering, LLC and numerous local MAsT Chapters. They are known for infusing relationship insights with humor and personal stories. Master Ben serves on the Board of MTTA, the producer of the Master slave Conference and the MTTA Academy. 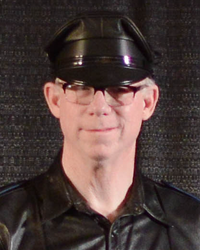 He is a former Regional Representative for MAsT International and was a judge for the 2019 International Master/slave Title. naomi is property of Master Ben and serves as the Vendor Coordinator for the Master/slave Conference. She is the 2017 recipient of the slave Bill Volunteer Award. Together they serve as instructors at the MTTA Academy, providing guidance and wisdom for Masters and slaves. They are in a long-term, monogamous relationship.